2018 was a horrid year for residents and business owners in Montecito, California and among them was the historic Four Seasons The Biltmore Santa Barbara which was inundated with rushing mud and waters that damaged the beautiful grounds enough to shut the property down temporarily. It took a huge amount of work and sacrifice on the part of their loyal staff, but they did reach the light at the end of the tunnel and reopened to greet holiday guests for 2019. This property opened in 1927 as part of the Baltimore Hotel chain and came into my personal radar in 1977 when I drove up from Malibu to experience for myself the hotel's Sunday brunch that people were raving about, and it proved to be more than worth the drive. 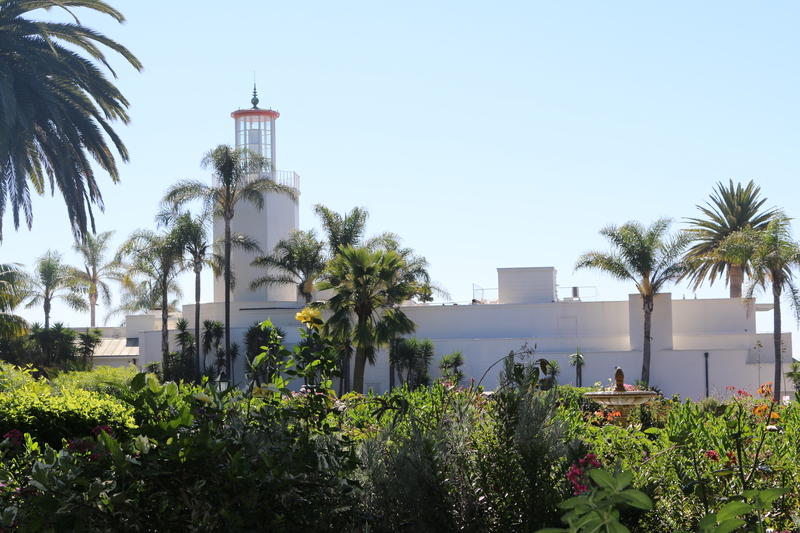 The property was a rambling Spanish style architecture, with beautiful fountains and plants, a collection of Spanish and fine art throughout and an exquisite ocean view. The brunch was the largest I'd ever seen anywhere, including The Sunday Brunch at the Drake Hotel in Chicago, which was quite impressive. Having grown up in Chicago, this was my first experience coming face to face with what seemed to be an endless table of every kind of seafood known to man or woman, with all the unique salads and side dishes the chef and his team could possibly pair with the seafood, made to order omelets, waffles, eggs Benedict, a variety of meats and more. Fine champagne and bloody Mary's were the drink of the day and were also perfect. I fell in love with this resort all those years ago, and I still adore sitting in Ty Lounge savoring their latest cocktail creations and small plates or enjoying lunch on the patio with a Butterfly Beach view. It is really more than the architectural style of the resort or its impressive history, it is an undefinable feeling of peace and relaxation that fills every space on this property. It is also the quiet and extremely efficient attention of the hotel staff who never miss a beat in anticipating guests needs. 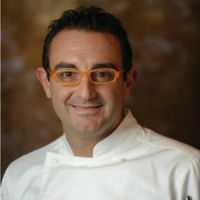 I've watched a few chefs file through their kitchen over the years, however, the latest Executive Chef Marco Fossati is exceptional in every way, with a long and varied ciriculum vitae including special training in a bevy of food preparation and beautiful presentation which has consistently brought Chef Fossati kudos from patrons and food critics who expect nothing but the best. The chef is a native Italian, who has mastered a variety of international food favorites, and has become a respected chef along with a well liked resident of the Santa Barbara community. It is so good to see the staff greeting guests and all aspects of the hotel buzzing with activity once again. One of my favorite things to do is spend time having lunch with friends at Bella Vista or the Coral Casino and taking a walk on the beautiful beach located across the street from the hotel, which in my opinion is one of the most beautiful in all of California. This combination of great food and the ocean always settles my tummy, clears my head and makes me happy to be alive. Music lovers and Anguilla fans were devastated last year, when for the first time in its 27 year history, Moonsplash producer and creator Bankie Banx suspended the event, as repairs to the venue were still underway. Some of the biggest names in reggae music have graced the Moonsplash stage -- Steel Pulse, Jah Cure, Gregory Isaacs, Sugar Minott, Marcia Griffiths, Bunny Wailer, Inner Circle – just to name a few. So have popular music artists like Jimmy Buffet and John Mayer, and award winning rappers Nas and Q-Tip. It is a magical experience, on an extraordinary island. Highlights of this year’s Festival are two, not to be missed celebrations -- Sheriff Bob’s 80th Birthday Bash and Third World and Friends 40th Anniversary celebration. Robert Saidenberg, The Sheriff of Goodtimes (aka Sheriff Bob) met Bankie Banx in the late 80s at a recording studio in New York City. Bankie invited Sheriff down to Anguilla and that summer they started planning the first Moonsplash. This is a very special year for The Sheriff of Goodtimes as he’ll be celebrating his 80th Birthday at Moonsplash 2019. He was also the subject of the 2018 award-winning short documentary film, The Sheriff of Goodtimes, which won Best Short Documentary at the Big Apple Film Festival. On Saturday, March 23rd, starting from 6:30PM on the Beach Stage, festival fans will be treated to the Sheriff's 80th Birthday Bash featuring Orange Grove, the popular Sint Maarten band whose infectious sound echoes traces of rock, hip-hop and reggae, and Sheriff and the Deputy, featuring Kat Minogue and Captain Bob. Sheriff and The Deputy play traditional Folk, Rock, and Country music - the band enjoyed 9 months of performances at Opry City Stage, the NYC branch of the world-famous Grand Ole Opry. Cool vibes, great beaches, thrilling performances, amazing music -- what more could you wish for? A Beyond Extraordinary experience awaits you when you join us at Moonsplash in Anguilla next month. First glimpse of the legendary hotel La Mamounia will forever feel like a scene stolen from a movie. Sun-blanched sky, dusty medina walls, and a pale-pink palace revealed through iron arches. Marrakech unfolded right around the time that Wes Anderson's Moonrise Kingdom arrived in theaters, and though I didn't see the film until I was back in New York, I was struck by the Andersonian nature of the place: prestigious and precious, set in a romanticized bygone era, with just the slightest hint of French pop. Not unlike a Hollywood movie, the 90-year-old hotel's 21st-century refurbishment is the ultimate example of what French hotel designer Jacques Garcia, hundreds of artisans skilled in Arab-Andalusian traditions, and $100 million dollars can do. A sprawling estate, at once old-world and freshly modern, familiar and exotic, real and surreal. Suspended in its own space-time continuum, where everything (the rays of the sun, the scent of oranges, the ripples on the pool) moves slowly and deliberately. It was low season and a million June degrees, but it was still a spectacular kind of deliberateness. Visiting Ottawa never tasted so sweet! March marks the best time of year to satisfy your sugar cravings as our maple syrup season takes the city and surrounding countryside by storm. Check out a traditional sugar bush and taste nature’s golden treat. The world-renowned Canadian Tulip Festival attracts over 650,000 visitors from around the world to Ottawa as the city blooms into a beautiful floral dream. Be here May 10th to 20th to take in the tulips, fireworks and celebratory events. Winter is on its way out, making space for bike paths galore! The Ottawa region boasts more than 600 kilometres (373 miles) of recreational cycling pathways. Rent a bike or bring your own and discover Ottawa on wheels. Warmer weather inspires a fresh feel in Canada’s capital. Explore Ottawa on foot under bright blue skies with one of these renowned walking tours. From Ottawa Race Weekend to Ottawa International Writers Festival, Poutinefest to Comiccon, springtime in Ottawa calls for a stacked calendar of exciting events and flavourful experiences.